The Monster Energy Arenacross Tour put on a great show of skill and fast-paced racing action for the 10th round of the 2016 series at the Sheffield Motorpoint Arena, on Valentine’s Day. Sheffield Arena was packed to capacity with thousands of AX fans, who witnessed Thomas Ramette, of SR75 Molson Racing Suzuki, catching up in the Pro class to just three points behind current leader, Geartec Yamaha’s Cedric Soubeyras. The crowning of Joe Clayton as ProLite, and Harry Kimber as SuperMini champions, the first-ever Arenacross electric motocross bike race, and an astonishing jaw-dropping trick from Freestyle ace Arran Powley ensured the event was truly exciting. Edgar Torronteras, Petr Pilat, Nez Parker, Dan Whitby, Samson Eaton and Arran Powley gave an excellent Freestyle show, with ‘Babyface’ Powley rising to the occasion. He executed a perfect ‘Cliff-Hanger-To-No-Hander-Lander’ that won him the Big Trick vote. 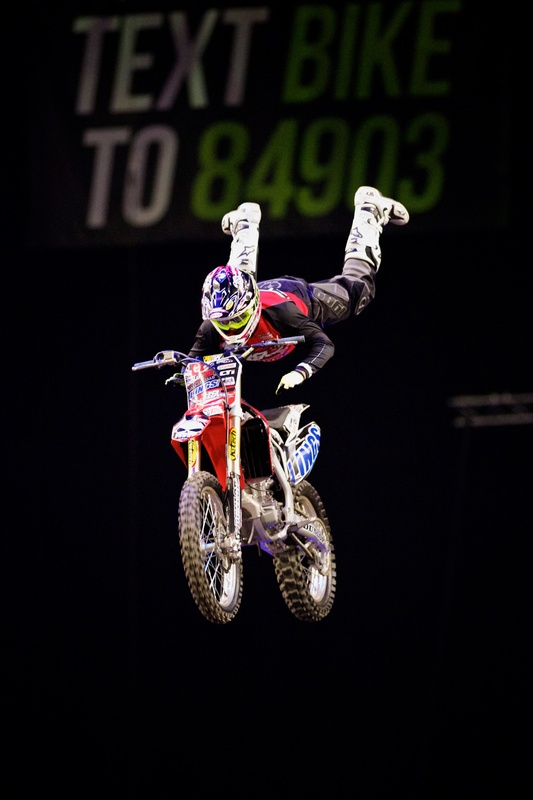 He said: “I haven’t performed this trick at Arenacross before as we don’t usually have the landing space. The Pro heats had only one casualty with American Collin Jurin, XBladez Husqvarna, who injured his shoulder, but the challenging track made traction difficult for the younger groups. At around two-thirds race-distance Preston Williams slipped on one of the fast jumps, landed face first on hard soil and damaged a previously injured wrist. The medics attended him whilst the race continued for two laps before being stopped. Sheffield hero Bailey Johnston was dominant in the Junior 65 class. He raced off the start line with Kiean Boughen and quickly moved into the lead, which he kept up to to the chequered flag. The Main Event was a Thomas Ramette masterclass, who fended off all comers to take the race. The result means that the Pro class championship is extremely close, since Soubeyras sits on 189 points and Ramette on 186. Ramette said: “This was a really important round for me. My goal was to close down on Soubeyras as, if he had got away from me this weekend, it could have all been over. 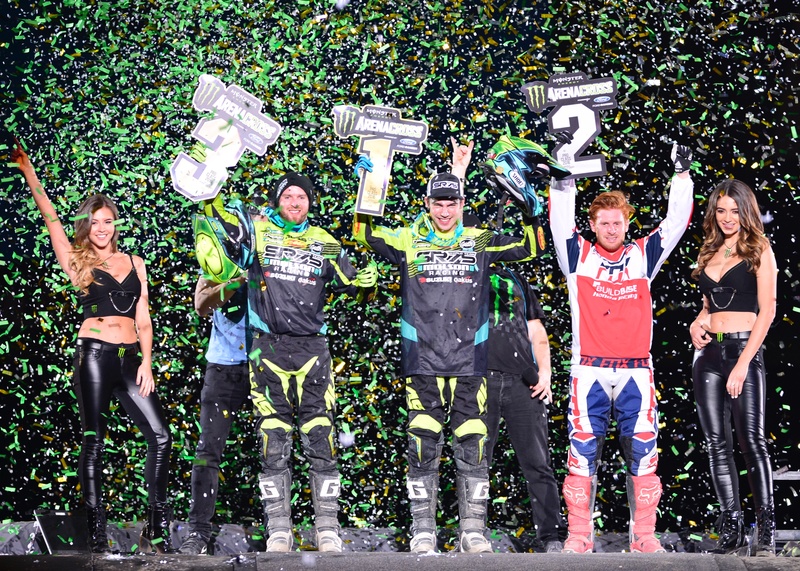 The next event is The Monster Energy Arenacross Tour finale at the SSE Arena, Wembley, London on Sunday February 27th 2016. Doors open at 6pm with the evening performance starting at 7pm.